Where I live in the Pacific Northwest, blueberries are still draped across bushes, and big flats of blues adorn countless kitchen counters (in season through middle/end of September). In fact, I pinged a pile of food-blogging friends for blueberry recipes to keep the inspiration strong through the tail end of blueberry season (recipes follow). Today at an unnamed grocery store I saw organic, local blueberries for $7 a pound. I confess: I cringed a bit, knowing these super-food, uber-healthy, applause-worthy berries were so costly to consumers. I cringed a tad more knowing that the blueberry farmer was lucky if s/he made even 15 cents per dollar sold. I mean no disregard to that market. But it does highlight the impetus---and my passion---for my new company Farmstr. Under wraps for many months of programming and piles of conversations with farmers, we are softly live and experimenting with the beta version of our online marketplace connecting local farmer/fishers/ranchers with people like you and I. What better way to enter the world than with a flat of blueberries? My foodie friends would agree: buy in-season bounty, then plunk it into today's feast and tomorrow's pantry. And why not buy direct from local sustainable farmers in the middle of it all? They increase their margins by over 60% by selling direct - even with giving you lower prices. 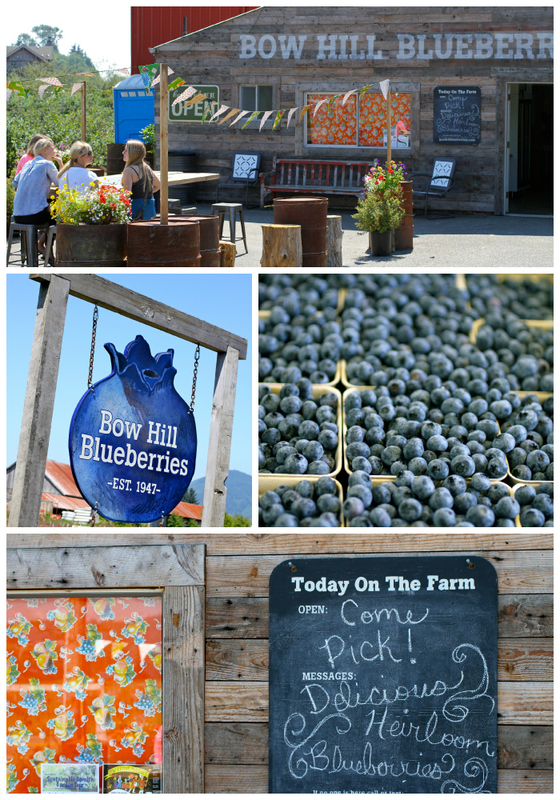 If you are near Seattle or Bellingham it is your lucky day: you can buy a 10LB box of transitional organic, local blueberries for $3.60 a LB from Bow Hill Blueberries (check out offer details). And of course: they are picked just for you. Knowing your farmer was usual not too many years ago - and I am a big believer in bringing back those handshakes. To buy local blueberries plus other farm fresh food like heritage pork, grass-fed beef and organic tomatoes - consider signing up for Farmstr. Currently testing beta in the greater Seattle area, Farmstr will be creating opportunities across the country for local farms to sell to local buyers. (So even if you aren't from Seattle - sign up so you know when we register local farms near you - and open in your area! ).